When kids are born, they're highly creative. Each generation becomes a little less creative, though, and that creativity crisis bothers me. I want my girls and kids everywhere to spend their lives creating and producing original and useful ideas, things, and discussions. If you agree, encourage your kids to play because it cultivates creativity in ten ways. Most of life's problems can be solved in more than one way, so it pays to think outside of the box. 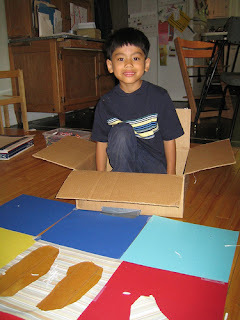 Play helps kids begin to develop essential creative problem-solving skills. As they build with blocks, climb the jungle gym, and enjoy open-ended toys, they use their imaginations and discover creative solutions that help them succeed inside and outside of the playroom. When kids play, they must learn to adapt to different situations. Sometimes, they have to compromise on which game to play together, or they may need to choose a different playground activity if their first choice is unavailable. Their ability to adapt is an important part of the creative process, since it prompts them to find alternative solutions and be flexible as they engage with the world in new ways. Our world is filled with uniqueness and diversity. To teach my girls to value these traits and show empathy to others, I encourage them to put on theatrical plays, play games from other cultures, and choose playmates of different ages and backgrounds. These diverse play activities help them see life from someone else's perspective and gain a better understanding of how other people think and feel. Mistakes are part of the creative process, and handling them is an essential life skill that everyone, including our kids, needs to develop. Even if their drawings don't quite look realistic or they build a sand castle that flops, they can get up and try again as they accept their mistakes and then move on. Young kids are infamous for asking questions. They're curious about the world and everything in it. For many kids, that curiosity fades over time. That's why I encourage my girls to play. It sparks their curiosity and helps them continue to ask questions and discover the uniqueness of the world. I get some of my best ideas when I'm playing. Whether I'm shooting hoops, playing tag, or drawing, play distracts me and frees my mind to think creatively. The next time your kids struggle to grasp a new concept in school or get frustrated trying to learn a new skill, like roller-skating, essay-writing, or algebra, encourage them to take a play break and reboot their brain. A friend of mine confessed recently that she threw away the rules to all of the board games in her house. She wants her kids to make up their own rules instead of feeling pressure to play the "right way." Because she encourages original ideas, her kids' creativity blossoms. As a toddler, my older daughter had an imaginary friend, and the conversations they shared made me laugh. Today, she's graduated to other imaginary play, including writing plays, drawing pictures, and making up games to play with our young neighbors. I love how play stimulates her imagination and helps her think in unusual and creative ways. Sometimes, my younger daughter gets so passionate, angry, or sad about something that she can't verbalize her emotions. I encourage her to harness play as a way to express herself. She can put on a puppet show, create art, or bang on her drum set as she shares how she feels in a unique way. On the playground, kids interact with structures, tools, and environments in a variety of unique ways. The jungle gym transforms into a fort, and they can build an entire city from sticks, mud, and leaves. In fact, any time kids play, they discover unique ways to interact with their environment. Watch your kids the next time they play with water, shadows, or music and count all of the creative ways they see the world around them. Our kids need creativity because it helps them succeed in life. As parents, teachers, and caregivers, we can cultivate creativity in 10 ways as we encourage our children to play. How will you entice your kids to play and be creative today?